Butuan City is the de facto capital of the province of Agusan del Norte. However, due to its independence from the province, Cabadbaran City (a neighbor city) was declared as the province’s seat of government. Butuan city is the center of trade and commerce of northern mindanao or the CARAGA region. It is historically significant as ancient civilization was present at the very spot of the modern day Butuan. It was then called Kingdom of Butuan. It has trade relations with the Malays, Chinese, and even as far as Indian civilization. 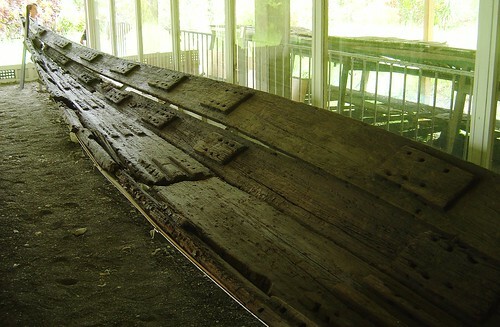 One of the evidence of their historical background is the so-called Balangay – an ancient galley. Now, Butuan city is a progressive city and considered as a highly-urbanized city. It is a good place to spend some vacation in Butuan. I have also been to Butuan several times already since both my mom and dad came from here. Technically, my mom is from Buenavista, a town 13 kms away from the city proper. From Manila: There are daily trips through Plane bound for Butuan through Cebu Pacific or PAL. If you choose to sail through the sea, 2Go Travel can accomodate you with their trips. Check their site for schedules. From Cebu: There are daily trips through Plane bound for Butuan through Cebu Pacific or AirPhil. If you choose to sail through the sea, 2Go Travel can accomodate you with their trips. Check their site for schedules. Note: For those who choose sea travel, the port is located in Nasipit town, around 20 kms from Butuan. Features : A place for relaxation and fun . Rooms with overlooking the swimming pool and view of the hotel . 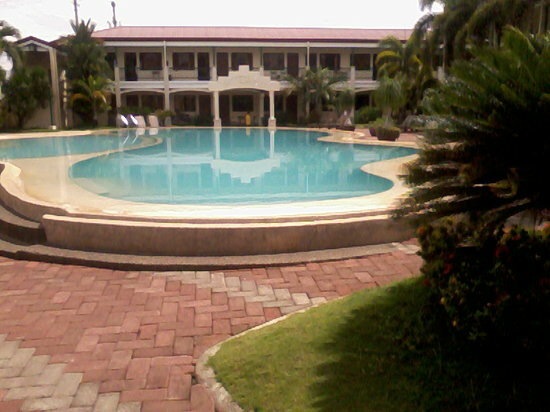 The swimming pool is said to be the largest in Butuan . Butuan City is also home to food-loving individuals. People here are so fond of Filipino cuisine - loving our own. Scattered around the corners of Butuan are grill restaurants, seafood restaurants, and even class A Filipino Food Restaurants. Butuanons just love being Filipino. You can also find fastfoods around the city and few dimsum restaurants. If you get hungry in the middle of the night, it is not a problem because this one could save your midnight cravings. Balangay is an ancient boat used by the ancient civilization in Butuan for trading. This is one evidence that Butuan has long been a civilized village. Adventure seekers should not miss climbing in Mt Mayapay. Or simply discover Butuan’s leading Dept Store/Mall.. If you happen to be in Butuan city, try out Delta Discovery Park (Butuan Highlands Adventure) which holds the current longest zip line record in whole Asia. Delta Discovery Park is located at Purok 7, Brgy. Bonbon, Libertad Butuan City. If you are in the mood for some smashin’ bowl-heads, go for timberlanes. It is just located within the vicinity of Butuan proper. If you are up for some party rockin’, this place might be a great place for your hangover. I do not know what your interests are, but I am sure that there is something that is in Butuan for you. Just give it a try. It is nice to spend a weekend in this place, or even a week (if you are planning on visiting the World’s Largest Crocodile, Lolong; the majestic Tinuy-an Falls, or the Fascinating Enchanted River of Hinatuan, Surigao del sur). Come along and discover the wonders of the Ancient Butuan! Check out this Video and see the streets of Butuan. This entry was posted in Mindanao and tagged adventure, affordable, aling cora, beaches, butuan, butuan city, delta discover park, dotties place, enchanted river, inland resort, mindanao, nasipit, philippines, restaurants, travel, travel blog, vacation, weegols. Bookmark the permalink.